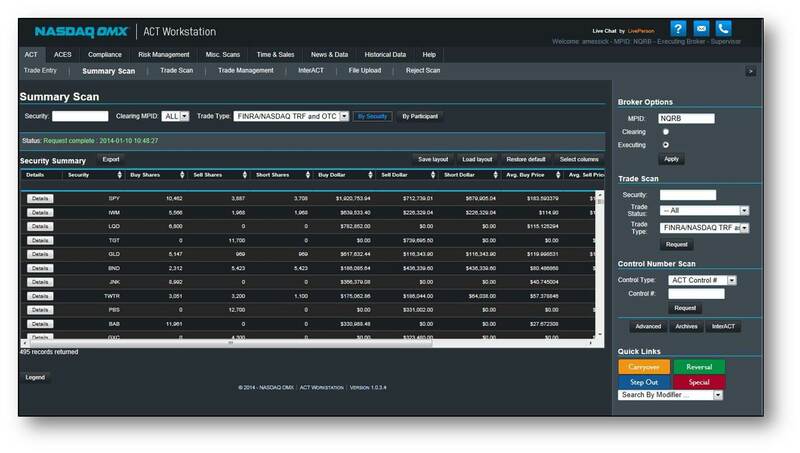 Electronically facilitate trade reporting and clearing functions for trades reported to the FINRA Trade Reporting Facility (TRF) operated in partnership with FINRA/Nasdaq TRF. 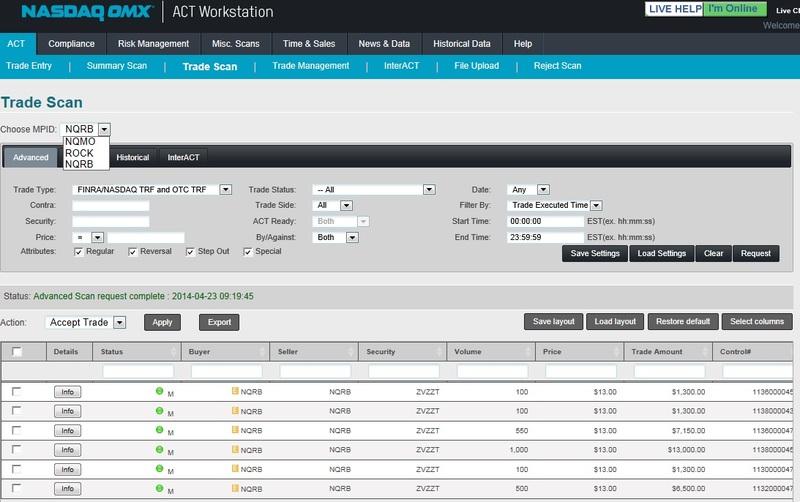 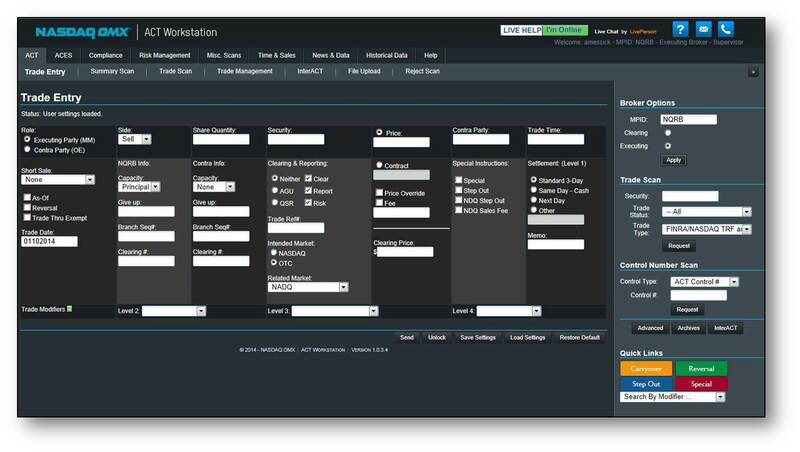 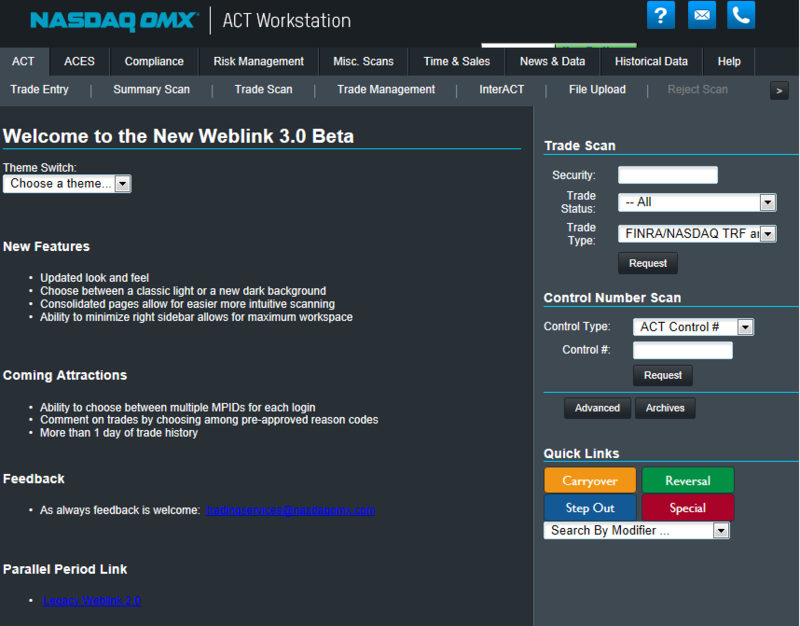 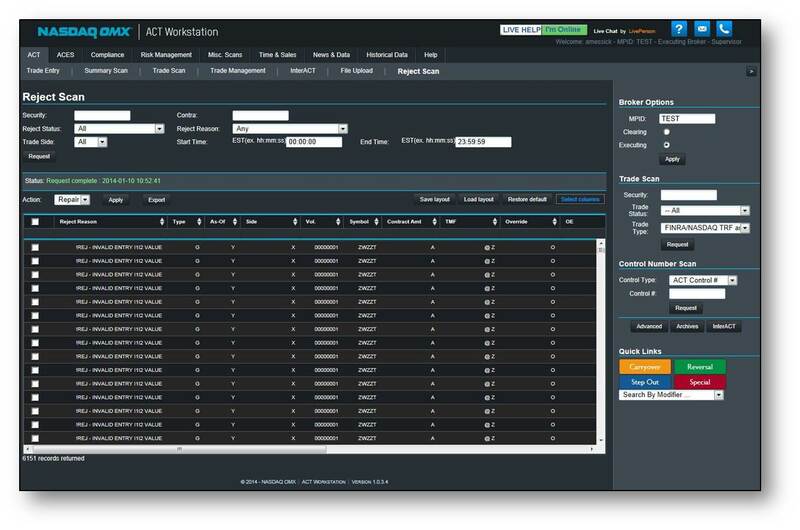 ACT Workstation is a low-cost, browser-based application that electronically facilitates trade reporting and clearing functions for trades reported to FINRA/Nasdaq TRF. 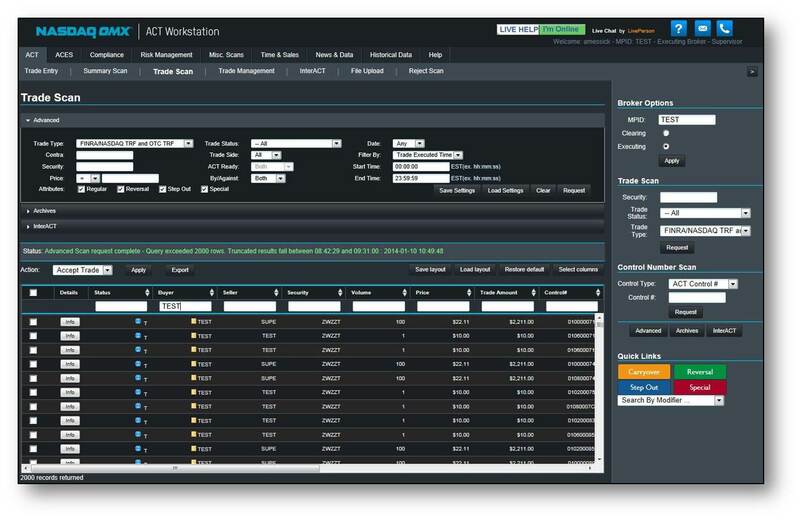 Some special functions for Nasdaq trades are also supported. 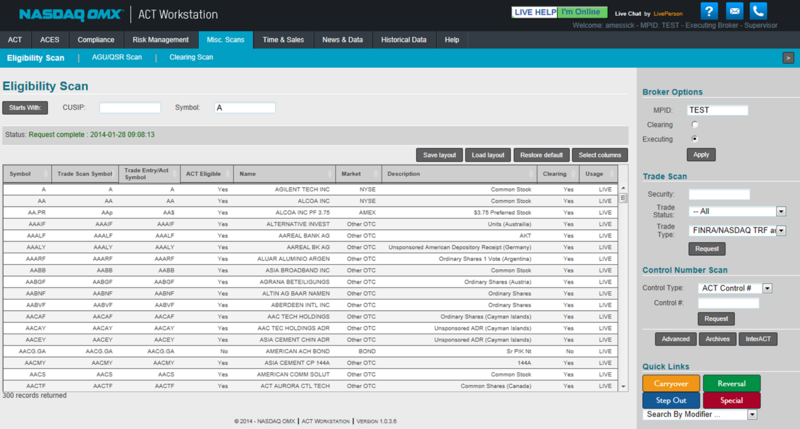 Search by Control Number, Symbol, Trade Status, etc. 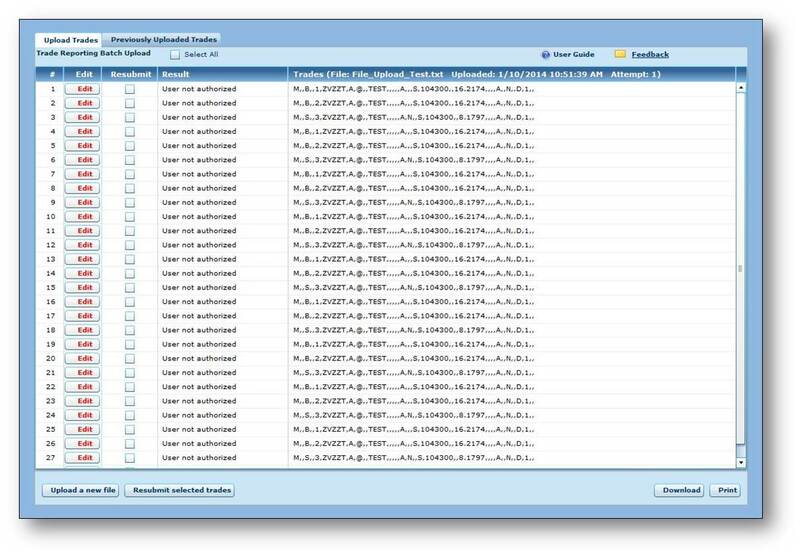 Filter by: trade, status, date, side, price, time, etc. 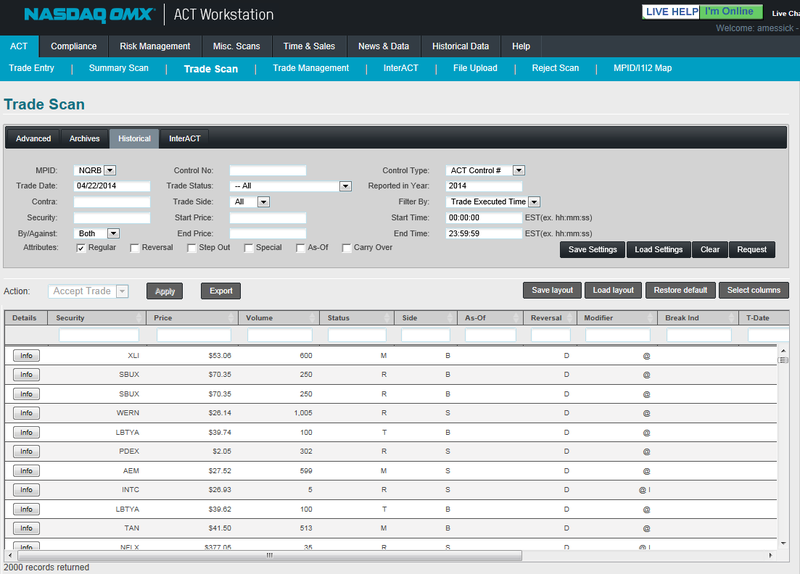 Stats include symbol, gross and net dollar amounts, average buy/sell prices, etc.